Are you looking to modernize or modify your home? You can paint, re-do the kitchen, or pave the driveway – the list goes on. One thing you can do that you probably haven’t thought of is install a stair lift. How can a stair lift modify a home? Keep reading to find out. Let’s be real for a second: Not every family can afford a residential elevator. As much as they would love to do so, home elevators are costly. 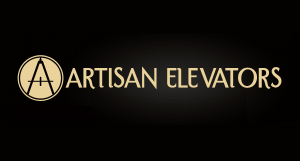 For the homeowner who wants to upgrade the home but doesn’t want to deal with the headache of installing a full sized elevator, installing a stair lift is the next best option. Stair lifts make multistory homes just as accessible to non-stair users as elevators but at a fraction of the price. They also take less time to install; it’s a win-win! If you currently don’t have any need for a stair lift, you might be thinking, “Why would I install a stair lift to modify my home if I don’t need one?” Well, have you ever considered that you might need one in the future? 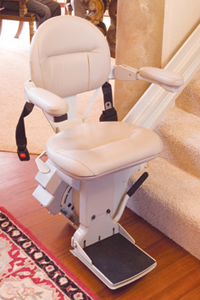 If you’re planning on staying in your home as you age, a stair lift could come in handy. In the meantime, older relatives or disabled neighbors will be able to better access your home when they come to visit. Okay, if you want to modify your home using stair lifts, the best thing to do is to make sure all floors are accessible. Unless you have a large, grand staircase that reaches all floors of the home, chances are you’re going to need more than one lift. This is okay. You can choose to have one style lift on one floor and another on the next, all depending on how your staircases are built. Some stairways will require a foldable, narrow stair lift while others will be able to harbor a larger, plush stair lift. Enjoy shopping for each model as you move from one staircase to the next. If you do decide to sell your home, use your stair lift additions to get ahead of the competition. There is one thing everyone loves; accessibility. When you explain to potential buyers that your home is set up for the long-term, they’ll be more tempted to buy. The addition of a stair lift could be the deciding factor between your house and a neighboring one.